TUESDAY SEPT 1 is the A3C3 MEETING in YPSI at the CORNER BREWERY at 7 PM. The activities… catch-up on happenings, planning for October, and FILM SCRAMBLE. 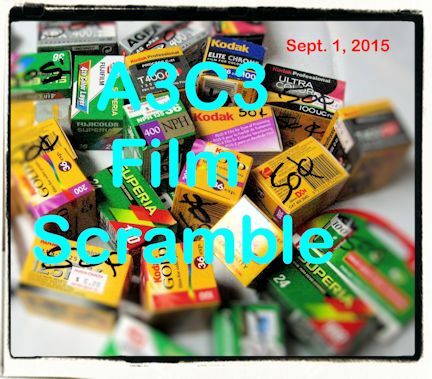 Film scramble is where you bring a roll of 35mm film and place it in a bag. Then everyone takes a turn and pulls a roll of film out of the bag. You have a month to shoot it, and bring the results to the next meeting on 10/5. No wimping out. Show us your prowess. There will be extra rolls of film in the bag for those that forgot to bring a roll, and to introduce new folks to the fun of film. ← Show us your results!